Sac Kids First petitioners gather before heading out to gain 50,000 signatures. On November 10, the California Urban Partnership, Roberts Family Development Center, Youth Forward, East Bay Asian Youth Center (EBAYC) along with several other youth leaders, children’s advocates and educators, participated in the signature gathering launch for Sacramento Kids First (Sac Kids First) at the offices of EBAYC. Approximately sixty enthusiastic community leaders and volunteers were greeted with coffee and doughnuts but were quickly motivated and energized by community leaders Derrell Roberts and Jim Keddy, along with Sacramento City Unified School Board members Mai Vang and Darrel Woo. 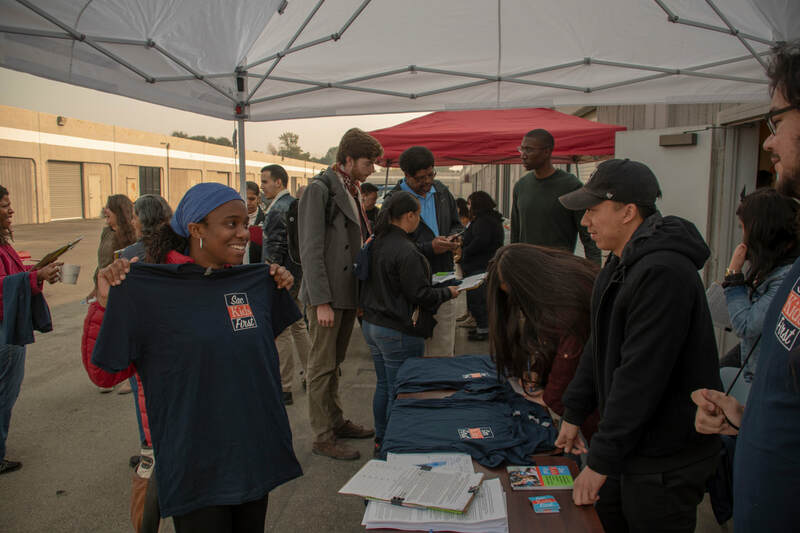 After hearing incredible words of encouragement from these community leaders, a brief training was held covering how to collect signatures, volunteers received their petitions, t-shirts and headed out to gather signatures. The goal is to collect 50,000 by early April.